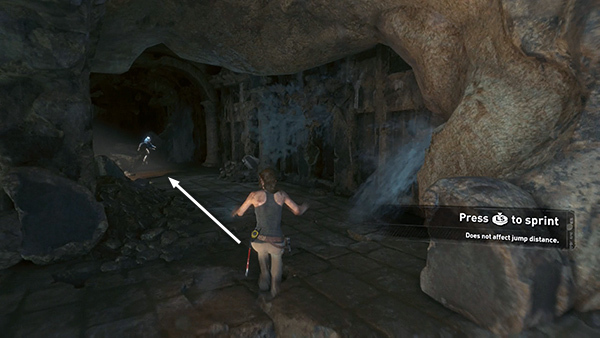 ...and run forward to where they were standing. 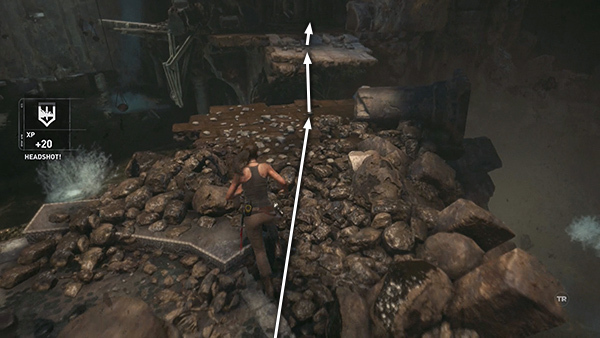 Jump across the gap in the floor and continue on. 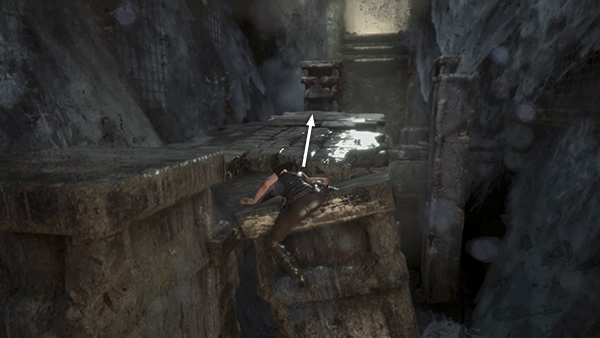 ...a huge chunk of rock falls on top of him. 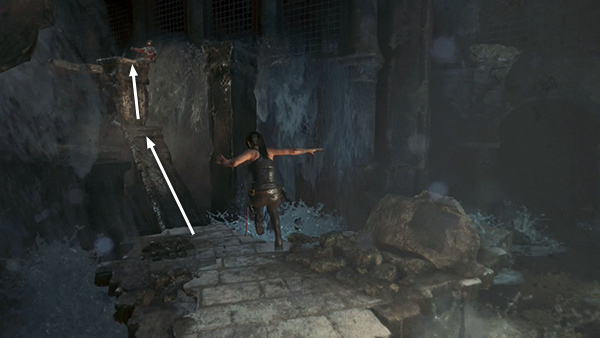 Turn left to avoid it. 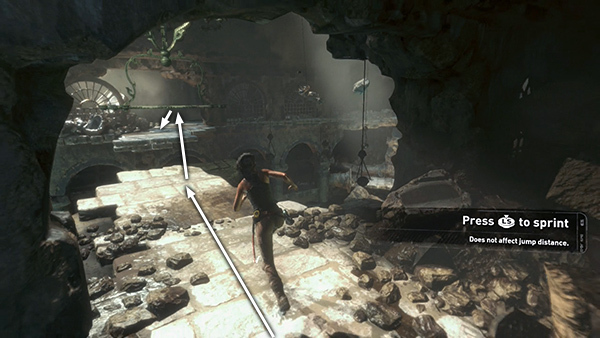 ...and keep running/sprinting around the corner to the right. 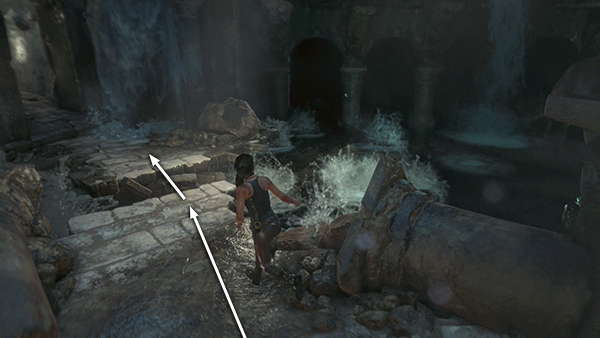 As you enter this hallway, the floor collapses, and Lara slides into the room below. 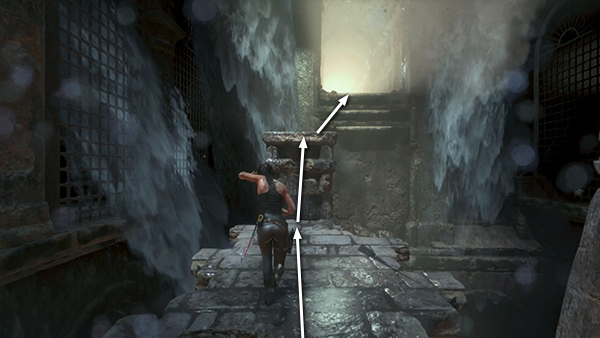 Continue forward, jump across a gap in the floor. 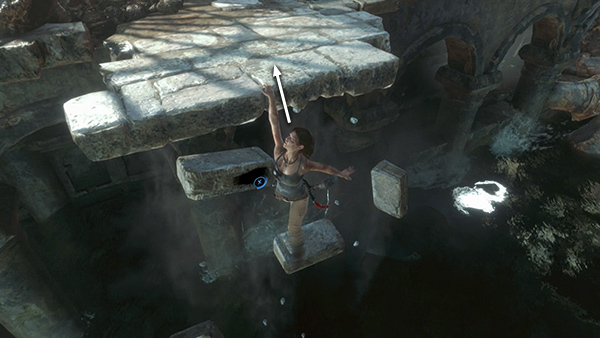 The column tilts to the left as you climb on top of it. 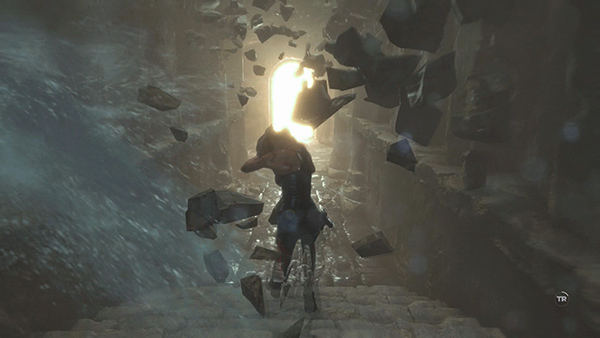 ...and continue sprinting toward the light as the passageway crumbles around you. 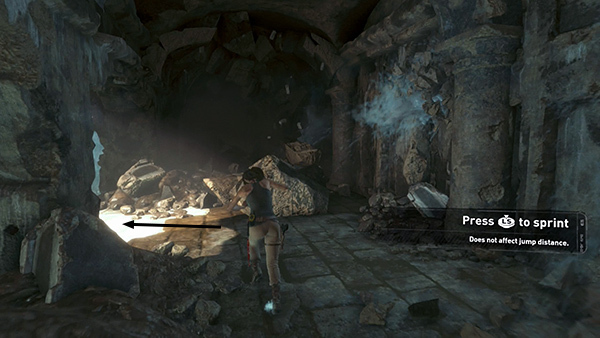 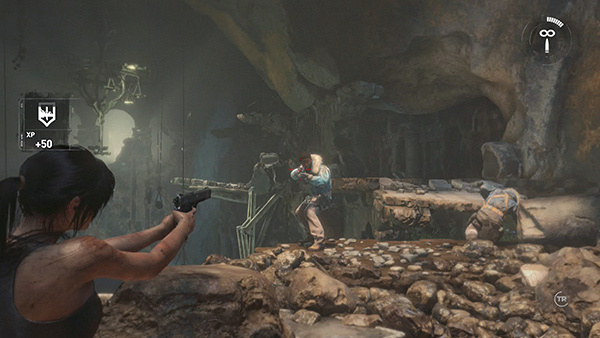 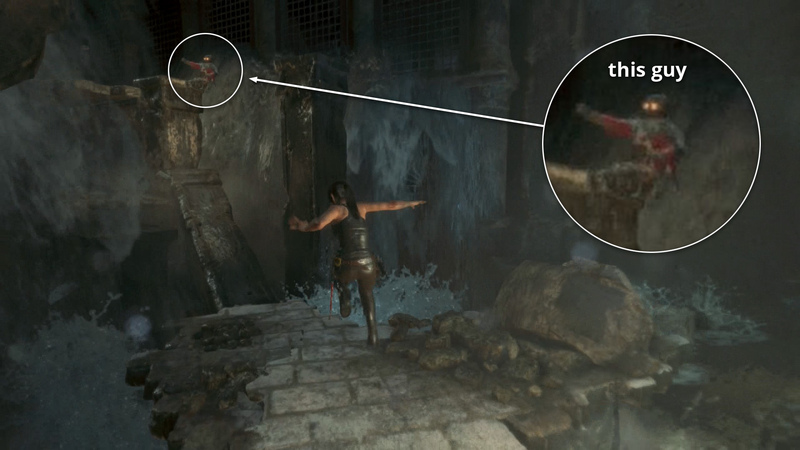 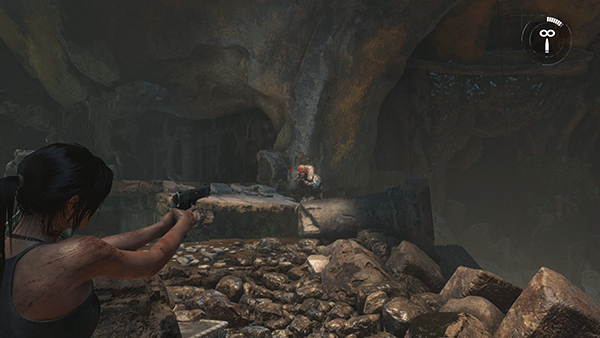 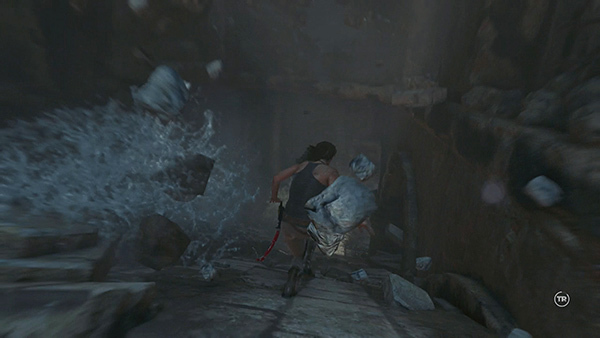 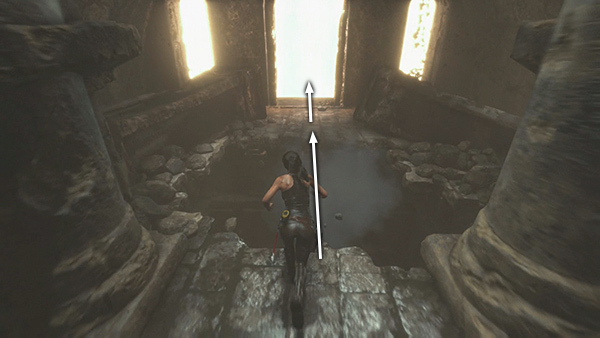 Take a running jump across the wide gap in the floor, waiting until Lara is right at the edge before you press the Jump button then holding it for more air time. 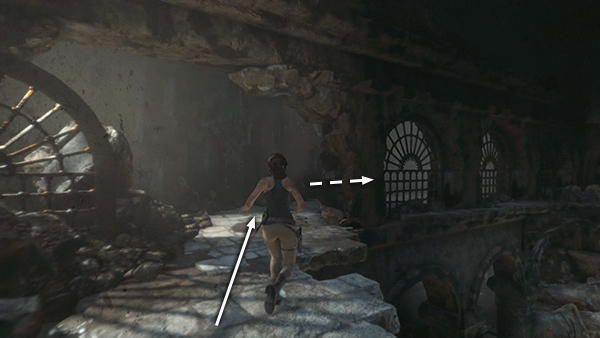 If you make it, run through the doorway to safety...and the end of the level.